Mission Fight The Cold is a small endeavor to help people by distributing blankets to those who spend their night sleeping on street during this chilly winter. God has given us the power to speak and raise our opinion. Why not be the VOICE of the VOICELESS and serve the loyal creatures! Stop cruelty done to the animals. Join us in being a part of this noble cause of helping out helpless animals like these. This campaign aims to provide safe and purified drinking water to the orphaned children at Ashanilaya Orphanage in Bangalore. We want to install a Water Purification System in the orphanage. Anima Minz always wanted to be a doctor. She comes from a remote village in Jharkhand. Her father is a daily wage farm labourer and will not be able to support her education. Join us in helping her pursue MBBS at Grant Medical College Mumbai. We would like to provide uniform T-shirt and Cap to our volunteers, "Road Safety Crusade," who will educate the Road Users at traffic signals. Creating an employment opportunity for differently abled young adults. Our mission is to Train, Empower, Equip, and Employ differently abled young adults to lead a life of dignity and grace and economic self-sustainability. Come help us and witness the Magic created by the hands of these creative Individuals. Help me save my mother! My mother has been diagnosed with blockages in multiple arteries, one being critical (90%). 3 doctors have advised an immediate angioplasty requiring multiple stents. As a son, I'm doing all I can. Every contribution from you can help me save her. Challenges can bring you buckling down to your knees or they can help you rise, like a Phoenix. This theatric celebrates the indomitable spirit of a woman, who rises despite the shackles of the society. It's time to break free! Conserve water, conserve life. You never know the worth of water until the well runs dry. Save water, and it will save you. Don't let life slip down the drain. The lack of affordable sanitary pads has been widely cited as one of the key obstacles to regular school attendance amongst young girls. We at Naya Sawera NGO have taken the initiative of providing a pack of 8 sanitary pads to max girls each month. We will be having food drives at multiple places in and around Faridabad,Haryana.This will also include supply of vitamins supplements to poor children as we have observed the child death rate is high due to malnutrition.Save the lives of the needy. Agriculture in northern states of India is ailing from different problems. Rising cost of labour due to labour migration is one critical problem. We are trying to solve this problem by giving the women farmers an access to modern farm tools on rent. Water for all in Ringora forest village through Solar water pump. Ringora is small forest village in Uttarakhand near Jim Corbett National Park. It has no water supply, electricity. They require a solar powered water pump so that they do not have to go far to fetch water and cross paths with the man-eater tigers. The Butterfly Project is an effort to inspire and empower women and ensure equal Social Acceptance, Education and Government benefits to them. Educating and empowering women have been instrumental in an economy's and societal development. World Center for Humanist Studies is organizing a National Essay competition on “Violence and Me” for school students to sensitize them about forms of violence and how it affects everyone - create awareness and help reflect. 'Heal Tokyo' is a drive to bring calmness and spirituality in lives of people of Tokyo through Yoga and at the same time using the contribution to enable poor kids across the world to got to school. The campaign Days of Pride is dedicated towards donating sanitary napkins to women who cannot afford them, or do not use them due to taboo regarding reasons. One donated packet of sanitary napkins costs Rs. 20. Rang De! Jaipur is a citizen-centred initiative which aims to transform civic spaces of Jaipur city by cleaning them, painting aesthetic designs and planting saplings with the help of Jaipurites. Currently, we have transformed Sindhi Camp Bus Stand. In order to encourage organic farming in Kerala, we aim to develop an app which will increase connect the farmers to the end consumers. Thus, encouraging them to shift to organic farming. Save life.. severe Brain hemorrhage condition .. Patient name is Murlidhar M Jha, age 62,admitted in Thunga Hospital,malad, Mumbai.He got haemorrhagic stroke in brain on 24th of June,2018 and diagnosed with HTN/IHD/DM/OLD CBA. He is in deep coma now and per day costs 30k in medicines.Fund required. We are club which aim to eliminate injustice towards kids of weaker section of society by providing them basic healthy drinking water. Project ‘Punctured?’ helps create affordable, eco-friendly furniture for varied income groups, by reusing worn out tyres that are discarded by the society. These products are created by the marginalized women community of Pernephata. Under project Snehachal, we are looking to improve our already established orphanage in Jaipur by further equipping the settlement with CCTV Cameras for security and bunk beds for convenience for kids along with soome other important amentities. The film focuses on bullying in schools and the fear a bullied child lives with. Bullying can be damaging physically and emotionally. It has a lasting Impact on the child's personality. Our film is about how our protagonist overcomes his fears. This Cold is a small endeavor to help people by distributing blankets to those who spend their night sleeping on street during this chilly winter. Hi,this is Srinath.I need money for my Short film.My story needs extradinory VFX and Many characters.I have a wish to work as one of the assistant directors to director Shankar sir ,for that I’m trying to prove myself,So help me. Please help Sridhar, he is suffering from liver damage. He needs an immediate liver transplant to survive. He is the only earning member of the family and they need your support to raise funds for his operation. Accident victims are loved one of some one you might know. 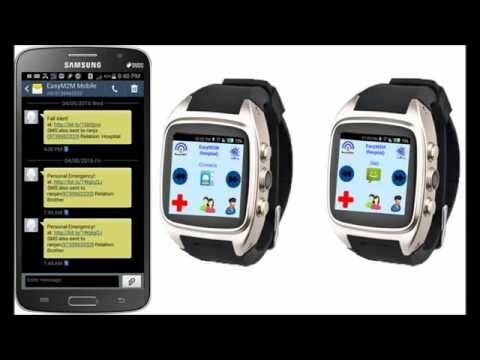 Ambulance staff and Hospitals can save life of victim using http://tratrwatch.com enterprise solution. Tratrwatch will be manufactured, donated. matching discount on Tratrwatch buy for you. DaanUtsav (earlier, the Joy of Giving Week) is India’s ‘festival of giving’. The festival is celebrated every year from October 2 to 8. ULLAAS is a festival of giving organised by Naya Sawera NGO in Jaipur for more than 250 underprivileged kids. Aarush is an 11 year old boy who has undergone a surgery of cochlear implant and now needs the replacement of the external processor. Like every other child he also looks forward to lead a healthy and joyful life. Your support can help him to revive! 26/11- A Tribute to the martyrs!! A musical concert at The Gateway of India, Mumbai to pay tribute to the braves who fought for the safety of all of us during the 26th November 2008 terrorist attack in Mumbai. 1 YEAR 5 months old boy rakesh is suffering from very critical health problem. He had a hole in his heart. He is currently being treated at CARE hospitals vizag. Doctors told he needs heart surgery in a month. Her father name is krishna. At “Photo Print Camp” we will be clicking pictures of mothers and their daughters together, to celebrate the birth of their girl child. To make those lovely moments even more special, we will be gifting them the photographs instantly. Lok Samvad Sansthan along with its partners is organising this all India level painting, photos, short film competition in an attempt to build public awareness and create a moral force in the country to stand by the children and protect their rights. Shree Kalpataru Sansthan has undertaken to sow more than 1.25 Crore Trees in next few years and to develop 100 Adarsh Grams (town/cities) across India. These Grams would be an inspiration to make India Greener. Help us sow more Trees this season. The soldiers of highways march through the day & night beating all odds inside heavy & colorfully adorned trucks, their home away from home.This mechanical beast feeds loving family miles away. It's time we empower them with skill, health & wellness. The short film will provides an insight towards an uniquely archaic approach and conflicts of an old middle class couple and their different point of views. At the end, it explains the monotony of forlorn life which ekes out a purposeless existence. Koshish is an NGO started to provide quality education and overall development to the underprivileged children in the city of Kota. We need funds to build sports faculties, library and computer lab for these children and to organize excursions. Surman is a divine place where abandoned and orphan children are given shelter and an atmosphere where they can also see their dreams coming time. FTII alumnus brings you the emotion, the dilemma, the wait & the silence of a mother whose daughter was named "??? ??" (whatever). Help us turn it around from "Kuch Bhi" to "Sab Kuch"and be a part of this exciting journey. Help labour class poor people's organization - AIFLU, India. AIFLU is working on removal of poverty from poor people by providing food, homes and happy better lives. Life is the most precious gift, so it’s our moral duty to live a healthy & happy life. R.K HIV Aids Research & Care Centre is organizing world’s largest medical camp to provide free treatment to more than 2 lac people residing in the slums of Mumbai. Please support me to fight Elephantiasis disease and have my Surgery done on time. Deepanshu a 2-Year-old from Bhiwari born with complex heart disease. He undergone through a heart surgery in 2014 and needs final surgery for his complete cure. His parent's took loan for the first operation which he can't repay till today. One for All & All for One is what India believes in! Leh Ladakh being one of the most beautiful regions of the country needs to get attention. People here are looking for better educational opportunities. Let's come together for a brighter tomorrow! Kamal Haz is a man on a mission. He will be cycling around the world in 120 days, completing 30000 km, covering 25 countries to increase awareness about Diabetes and the reasons behind it. It will be an attempt to create Guinness World Record. Preserve Cows for Mankind in Society. SAVE COWS - To lead a normal and peaceful life, we need forest preservation, water preservation, animal preservation etc.That make the earth healthy, hygienic and pollution free. Our heartiest effort is to preserve cow for mankind in society. Support Anamika and Manish to be a part of Indian Gymnastics Team. Anamika and Manish dream of being a part of Indian Gymnastics team. After winning various championships in Yoga, and gymnastics, now they need better training and facility to achieve their dreams of representing India at Olympics. An effort to establish Unity in Diversity! SEIL is an initiative of ABVP for nation integration and to promote the motto of One Nation, One People, and One Culture amongst the people of North East region. We take orphan children into our custody and get them adopted via district judge's court until then we take care of them and send them to school. We need your support for better life for these kids. Myself Ghanshyam Daniel, Director of Shining Mission India. We are running School and where we are providing free education to the orphans, semi-orphan, poor and street children, we want to make orphanage for such children. Step forward for good cause. Ms. Celin Mary, 50, is from a poor dalit coolie family. She is a spinster and an epileptic patient from her childhood onward. Her 5 brothers and 2 sisters cornered her after her parent died. Now she is in the home for destitute. Please help. An alumnus of Bishop Cotton School, Shubham wants to further enhance his knowledge. He is looking to raise funds to enrol for Doon Leadership Programme. He is a young ambitious boy, who wants to contribute to a greater future of this country. Children feature film which condemns child labour and promotes child education. A child goes on to set an example by teaching labour children and how education helps in shaping the future of a society. It conveys a very contemporary social message. 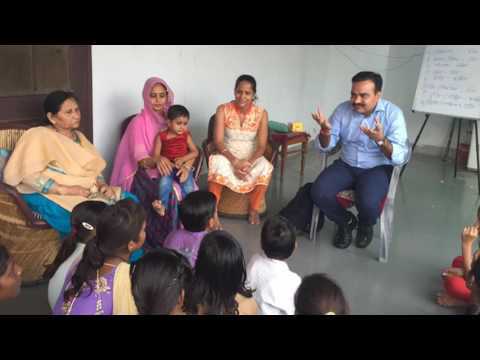 ASLS aims to invite public partnership for empowering children belonging to marginalized sections in strengthening their basic learning along with awareness on important aspects like civic sense,legal rights,social equality,small savings,fitness etc. Say NO to Drugs, YES to Sports! The mission of Children & Youth Unity Foundation is to eradicate the drug addiction amongst youth and children of Mumbai by involving them in various sports and counseling, thus shaping them into being responsible citizens of this country. Inspite of making a substantial amount of contribution to India’s emancipation, the tragedy of such brave fighters is that they have somehow been removed from the collective consciousness of the Nation. The idea is to re-evaluate their glorious role. With every contribution, children who are passionate about art will have an opportunity to learn & create it. Art is empowering & liberating. It allows creativity and self-expression.That is the magic of art we want to bring to children. India is country of village & when rural india will study than our country GDP will be rise more and more.India's economy is driven by rural india as agriculture is the base.Pen & notebook is the basic needs of any rural indian student & i am one . The district physically handicapped welfare association had been established in 1997,here the differently abled persons are given free education,clothes etc...now we need funds to set up foundations for their livelihood and lead a respectful life. Awareness about diabetes and thyroid through leaflets. I am planning to print 20,000 leaflets to create awareness about diabetes and thyroid in Halol, Gujrat. My mission is to get people to adopt healthy life and to collaborate with a pathology lab to provide reasonable rates for the regular tests. The project, taken up by second year students of IIM-Kozhikode, is aimed at helping MHAT, Kerala raise funds. The not-for-profit organisation aims to provide free community based mental health care to the poorest people of the localities they serve. Shankar Bhambani is suffering from Multiple sclerosis. It is an autoimmune disease that affects the brain and spinal cord. His spinal cord is bent like a bow and it has now started affecting his vital organs which have reduced his capacity to work. Udaan is National charity event organized by AashayenFoundation During this event we Distribute school kit to 20000 Underprivileged kids Udaan is a national Sports and Cultural festival. With the funds raised through this campaign we will promote the website extensively across India and cover the operations and development costs for the website. 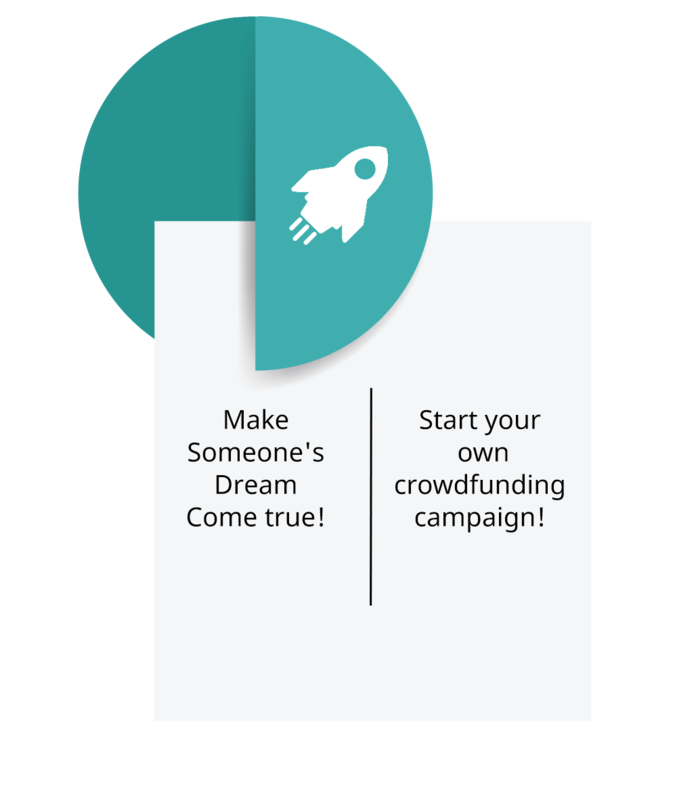 Samriddhi is a microfinance startup committed to providing non-collateralised Micro Credit to the hawkers and vendors who depend on extravagantly expensive credit provided by the local moneylenders, who resort to unethical recovery practices. Kahaanighar is a Social Enterprise committed to the development of cultural pro-activeness amongst children through informal interactions, as simple as storytelling. They need your support to publish newsletters to take this message to the society. Jaipur Kala Mahotsav will be held from 2 - 6 April 2017 at Jawahar Kala Kendra. The objective of this fair is to provide an exciting opportunity and encourage young artists, designers, and craftsmen to showcase their talent to the general masses. BHW Herbal Water can replace antibiotics. My name is Parag S Dalvi. I reside in Mumbai. For decades, my family has been offering prayers at the Hanuman Temple, which is located near Ratnagiri, Maharashtra. Since the temple is very old, we want to do repair works and rebuild the stairs. 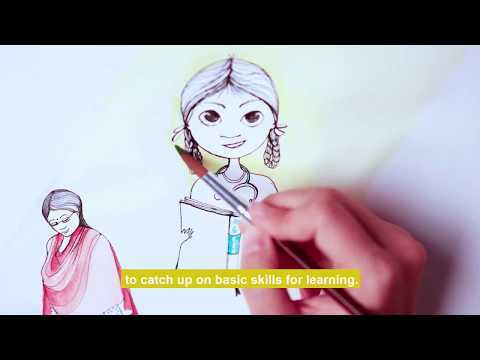 This campaign aims to help a child-labour go to school. Our NGO will provide residential and other amenities to these children to continue their studies without depending on their parents. We are raising funds to buy in bulk a hygienic, eco-friendly, women's necessity. A tampon is a mass of absorbent material, primarily used as a feminine hygiene product. Our mission is to make tampons affordable and a widely used product in India. In Buguda and Polasara of Ganjam district, there are thousands of Old and Aged persons who are land less, poverty stricken and no one to care for. We want to take up the responsibility of caring and providing for them. Please help us help them. Tourism is a major source of revenue for Uttarakhand. Tourism has positive and negative impacts. It has negative impacts on Environment. So we want to promote tourism in a responsible manner while preserving its environmental heritage, and ecosystem. Pooja, 8 Year girl child from West Delhi came in the Free OPD of the Child Heart Foundation for ECHO test referred from Safdarjung Hospital. Pooja born with a large PDA (Patent Ductus Arteriosus). He father is unable to bear the cost of treatment. More than 500 Anchal children and adults have already been screened. More than 200 children now have adopted Aids and Appliances, 72 of those children have had their lives drastically changed. Other are waiting for your support. Come and support us! Ashraf Unnisa , 39-year-old, mother of two, has been battling Non-Hodgkin's Lymphoma for nearly nine months now. Help her raise funds for her treatment. Since the last three years the classes of this school are being taken in a field under an open sky. Often during harsh winters or rains, which is most of the time here in this village, the students have to pile up inside a small mud hutment. We are a registered and recognized NGO working towards rehabilitation of persons with Cerebral Palsy, Autism, Intellectual Disability and Multiple Disability. We currently need funds for free physiotherapy sessions for the financially weak children. Even a Chai-wala decides price for his products & services. Unfortunately in India FARMERS can't decide price for his Produce. Its Middlemen/Commission Agents! Marketyard is a Mobile Platform that enables FARMERS to BUY-SELL-RENT Everything in Agri. We want to develop a book cafe where anyone could settle into a congenial niche, Steaming coffee in hand with an engrossing read, yet with an atmosphere of elegance and zest. We will have a collection of books. Weekends come with some amazing events. Help us for establish a library in village. 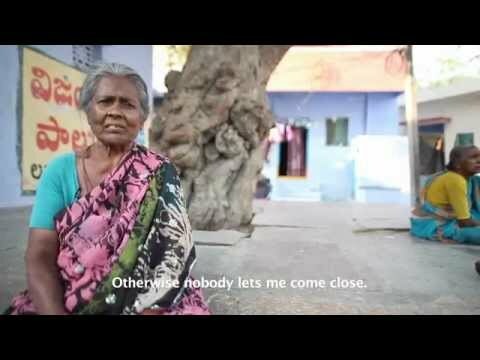 CYDR Foundation is making an initiative to create a library in the backward village of India, where poor,backwards and dalits are very illiterate .With this initiative, we want India's literacy rate to be high. Funding required for ambitious short film. This yet untitled project is my 2nd short film. It is a socio-political drama, dealing with caste based discrimination in our society at its core. The shooting commences from 20th December, and will start Prakash Belawadi in the lead role. Janvi, Mukund suffer from Mucopolysaccharidosis type IVA (MPS IVA, also called Morquio syndrome , type A) is a metabolic condition that primarily affects the skeleton. ... MPS IVA is caused by changes ( mutations ) in the GALNS gene. Aniruddha has a deep attachment to sport and feel that he can give back to the Indian sporting fraternity through Garlanding India 2.0. He'll be riding his Bajaj Dominar that he fondly calls Zeus, in South India. Shannon teaches violin at Kala Academy and has always been interested in motorcycles from the young age. To further the cause of Garlanding India 2, he would be riding to Southern part of the country. Ankur believes that no one should miss out on his/ her talent due to lack of resources. With this thought, he decided to associate with Garlanding India 2.0 initiative. He would be his Royal Enfield Classic 350 which he has named as Robin. Hemanshu is a sports enthusiast & has represented India in 2008 World Roller Skating Championships. He wants to give back to Sporting Fraternity through Garlanding India 2.0. He'll be riding his Royal Enfield Himalayan which he has named as Madmax. In our operational area of Barmer, Rajasthan we found plenty of homeless street children who are suffering from food insecurity and are not able to attend the basic education as well as quality of health care. Support us for meeting the above needs..
With every child securing an education we are securing our collective future. Help wonder kids in achieving their goals. This is a campaign for a dance event, through which we promote different NGOs. In this event we have kids performing from different NGOs. These kids are HIV+, Deaf & Mute, Blind, Mentally challenged & Specially-abled. I am post graduate in MBA. I got admission into PhD and I have to select a topic that has social cause. So, I am planning to visit rural areas starting with south India to get an idea of social issues they are facing and can do Phd on that Issue. Education is a basic human right. Yet those who need education the most children living in poverty-are the least likely to attend school. I am raising funds for a 3-month-old child name called Mayank who needs, an immediate heart surgery. The child presently admitted to Holy Family Hospital ( Delhi) and struggling to breathe normally. Divvya Bharat aims to fill in the gap for enabling better livelihoods, build a sense of achievement and self-dependence for the Specially Abled (People with Disability). I want to give solar lights and toilets to every house in PRAVEEN SINGH village . In this work you can help me. Shakti Kumar Pandey is suffering from Locomotor Disability. He is seeking your support to get his Mobility & Livelihood. DivvyaBharat team raising fund for Shakti to provide him a wheelchair and set up of small mobile repair shop. This campaign is a one to one interactive session, owned and driven by passionate volunteers. Inviting passionate eco-warriors to donate today. 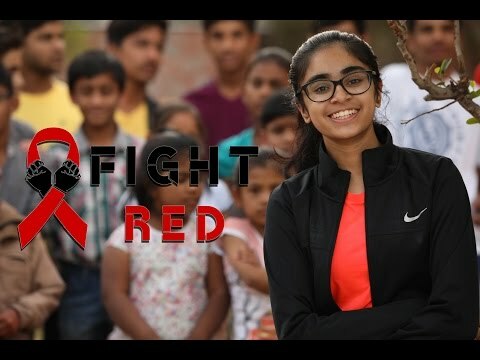 Why deal with Non Sustainable Menstruation or Period Taboos? Donate and share, to save the Planet. My daughters wants to study more that 10+2. My income is not sufficient to educate them well, so I request you to please help me. Let us stand for the hopeless. I've always dreamt to become a doctors .. it's my passion my first love my dream my soul i cannot live without being a doctor and helping others. A Doctor is considered to the God on earth. People haven't seen God but people believe in Doctor. IHi, My name is Narayanan Mummidi . I am raising funds to empower Farmers & hawkers spread across pan India. I have created a website connecting Farmers, Hawkers and Consumers and everyone involved in the supply chain of organised retailing . We are striving towards imparting vocational skills training and employment of deaf youth. In last few years we have successfully trained over 8000 and employed over 1900 deaf youth. Join us in our journey by supporting our cause. Rescue Foundation is a non government organization (NGO) based in Mumbai, India.The main goals of the organization are combating human trafficking of girls and children. We rescue, rehabilitate and repatriate the victims. My name is Anji, my mother name is Tiripatamma, and we are living in Guntur. We are a low middle-class family. my mother was suffering from heart diseases, she got heart failure, Heart pumping inside does not happen properly. Donate Sanitary Pads & Help Kerala Women In Need. Shebox Happy Periods Movement is an initiative to raise sanitary napkin for Kerala Women. help orphan children and poor children! Save my Mother Life form Heart diseases Please. we are nonprofit registered ngo. Working for orphan , semi orphan ,poor and needy children . Your tax-deductible donation can support these deprived children to continue their education without breakups and keep them safe from sickness of common cold. Civiorly cyclone affected people of Orissa losses there hut and also government funds never riches to them,many are suffering very difficulties staying in others house and not have money to make a home So they need temporary shed immediately. This fundraising page is to raise money for the education of some disadvantaged children in Kolkata, India, by donating to ‘Jorasanko Ummed Foundation', a small group of local people working for the social development of the community. The campaign will have a series of concept videos that brings out the various emotions of a human being including happiness, sad, anger, lust, jealous, anxiety, surprise and more. Each video will have a concept story supporting the emotion showcased. I am raising funds for son Deep who is suffering from a life threatening very rare disease Osteoporosis. The only treatment for this disease is Bone Marrow Transplant. He may face major complications if the treatment is not done as soon as possible. Help us provide sanitary napkin machines in rural schools. I, Angan Roy, a research scholar with UOH, am raising funds for improving the health and sanitary condition of rural women in the Purulia district of West Bengal, India. The raised funds would go towards installing sanitary pad vending machines.